Melting chocolate using solar powered ovens! 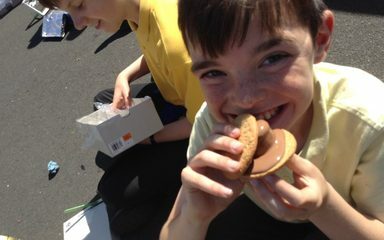 During Science week we made our own solar powered ovens and used them to melt chocolate to create our own smores! Baltic artist visits Blaydon West! 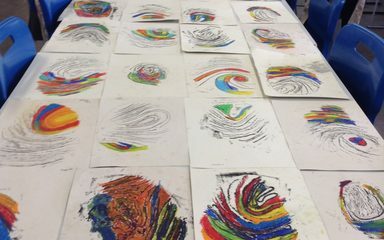 Last week we were lucky enough to have a visit from an artist who works the The Baltic. 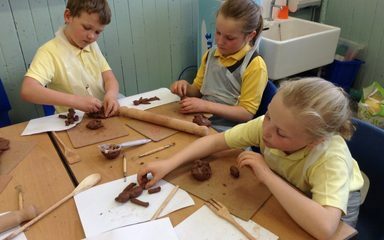 We all had great fun making different sculptures out of clay and animating using the Ipad. 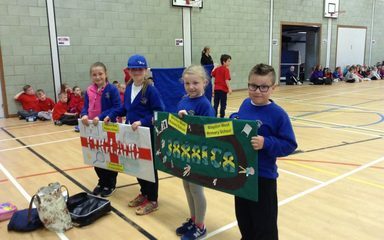 We had a fantastic time at Crookhill for the Paralympic event that they organised for both schools to take part in. Some of the events were very difficult and we had to work hard as a team! 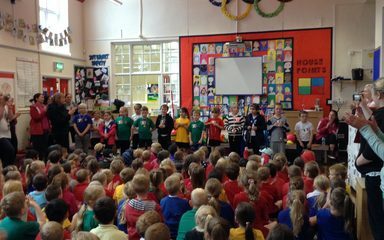 Sports of the World Festival! 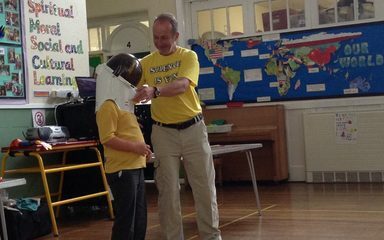 Year 4 had great fun at the Sports of the World Festival at Thorpe Academy. We even won a trophy for our England Banner! Thank-you Thorpe Academy for inviting us!